I ordered this about a week and a half ago and after being bounced around at the post office for 3 additional days, they finally delivered it late last week. 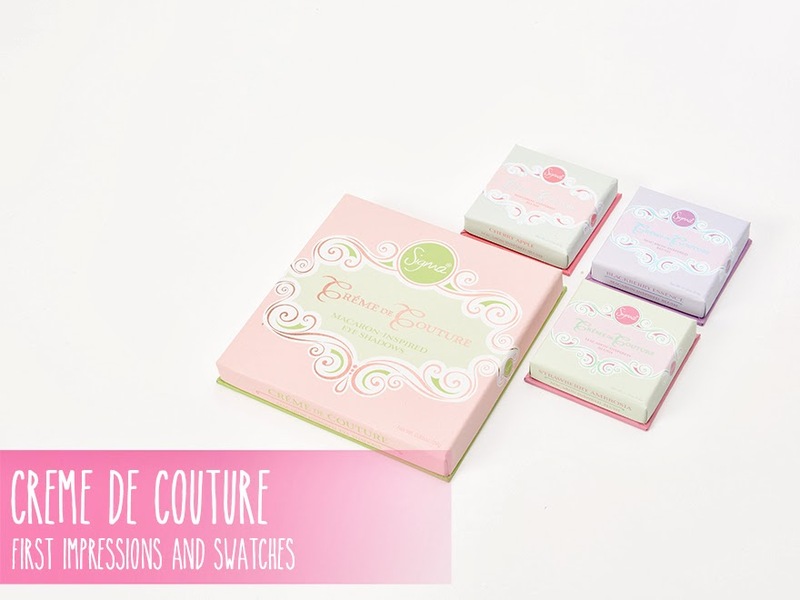 I have never used any Sigma products, but the Crème de Couture collection really caught my eye. 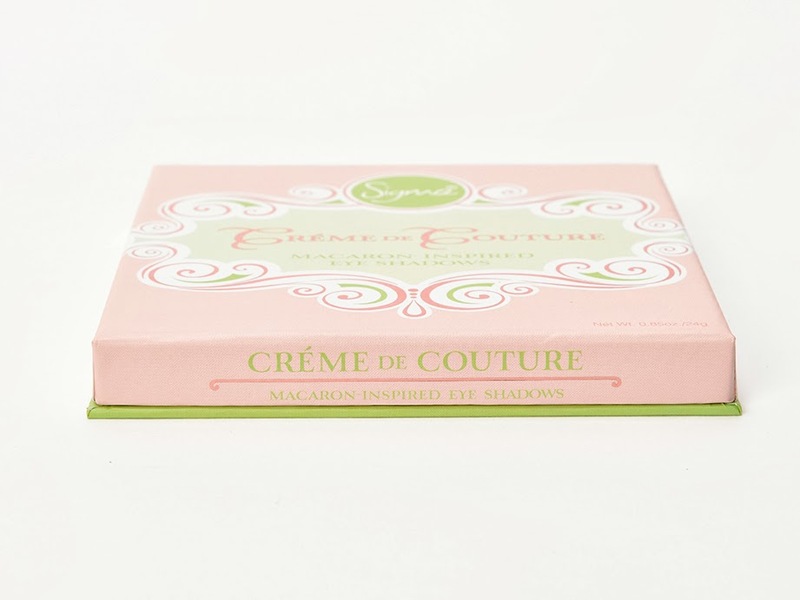 It's a collection of three blushes and a palette of 16 matte eye shadows. I've really been getting into matte eyeshadow, but it's insanely stupid how hard it is to find fun colors in a matte finish. 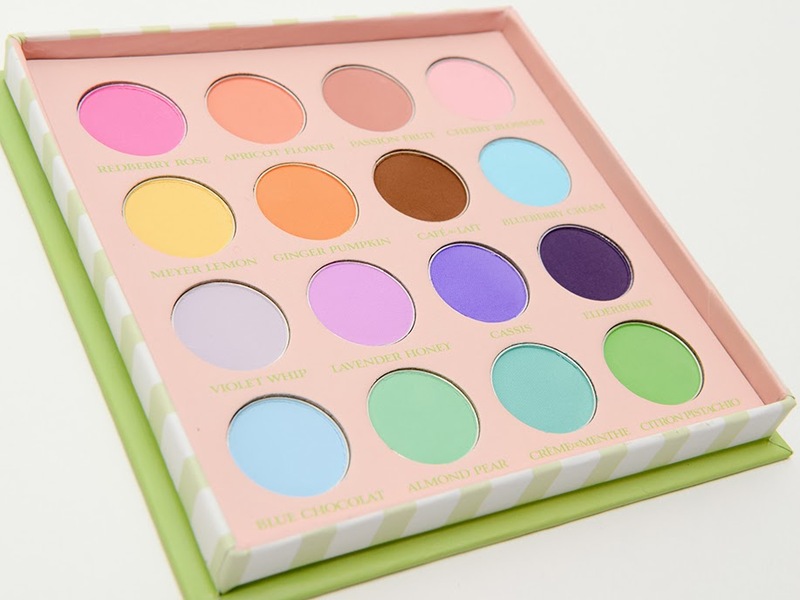 Well, say hello to this palette. I also ordered a brush, but I will review that at a separate time. 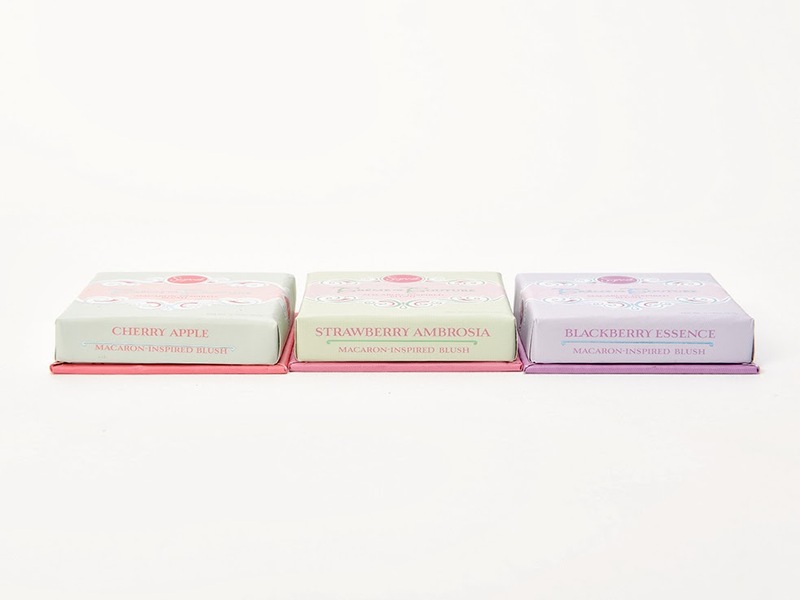 The blushes each come in their own little packaging and are .12 oz (each). I wasn't sure about Blackberry Essence since I've never owned a purple blush before... and I'm still not sure about it. I'm going to have to spend some time with that shade and figure out how to wear it in the most flattering way. If it comes down to it, I can always use it as a shadow rather than a blush. Cherry Apple is a very flattering, warm shade that falls somewhere between red and pink on the color spectrum. 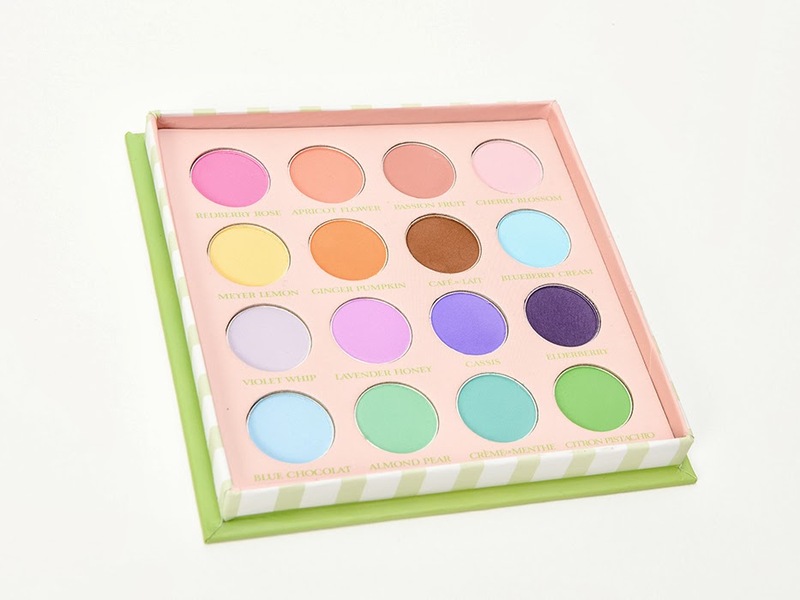 I've worn this shade and I was surprised at how pigmented it was on my face; I loaded my brush with product when I should have applied a little more sparingly. 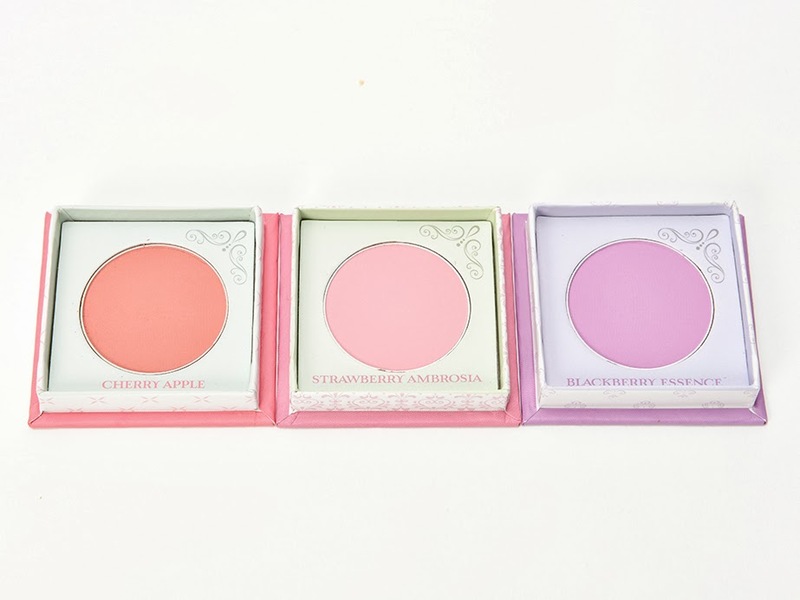 The blush is very soft feeling on the face, but not so soft that it's going to crumble in the pan. 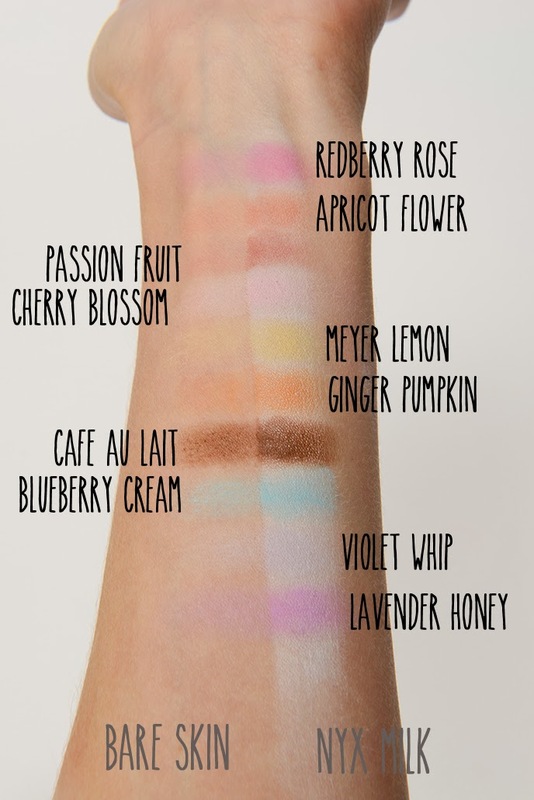 If you notice, I didn't swatch Stawberry Ambrosia and the reason I didn't is because I'm thinking of putting it in a giveaway... thinking of it. 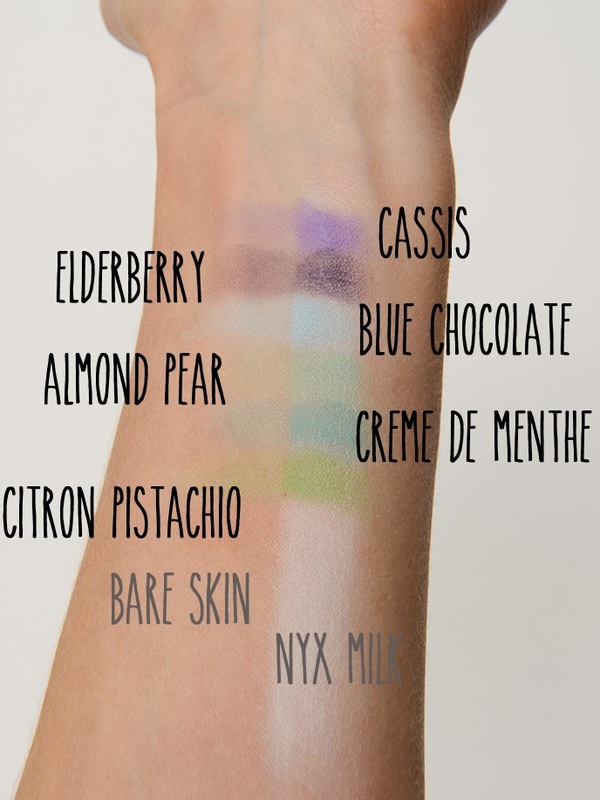 For the record, I haven't used any of these shadows yet, they've only been swatched for the purpose of this post, so I can't report on how they wear. However, just like the blushes, they are incredibly soft on the skin, but not so soft that they'll crumble in the pan (if you don't know what I'm talking about, buy Kitten from Stila and you'll understand). I'm not too excited for the colors on the bottom row but that's only because I don't wear a lot of blue or green shadow, not because they aren't gorgeous. I see so much potential for all of these colors and I cannot wait to put them on my face! Some of the lighter shades aren't as pigmented as I might like, but they're still seem pretty solid. As you can see, these bad boys swatch about a thousand times better on top of NYX's Milk Jumbo Pencil than they do on bare skin. I always wear a base or a primer when I wear shadow, so I'm confident that I'll get nice color payoff from these. 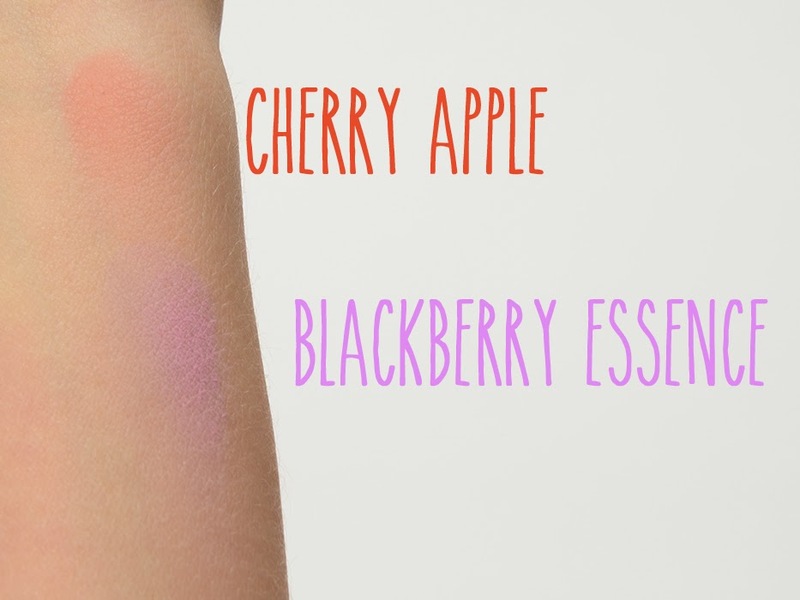 Violet Whip and Cherry Blossom are the only two shades that seem to have a bit of trouble showing up, but I think that when applied to the eyelid, that they'll be very nice and subtle; probably great for blending like colors. 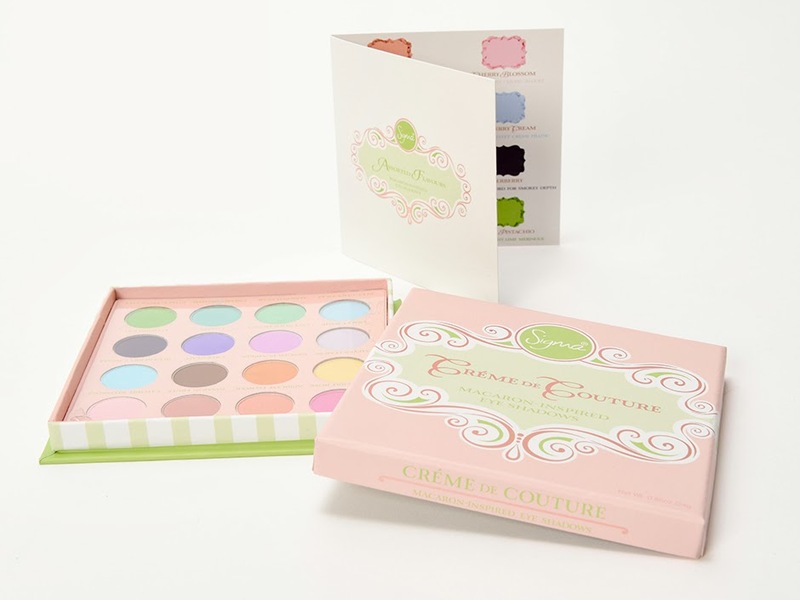 This whole collection retails for $55 (if purchased together) or $32 for the palette and $12 for each blush. You can check it all out at www.sigmabeauty.com if you're interested. If you have any questions about the collection, please let me know!